Good morning, here is your Sunday Patriots news 12-30, & AFC East Notes. Also our Players to Watch for today’s game against the Jets. Did you Know? That Tom Brady is tied with Brett Favre for the 2nd most wins (26) against one franchise, Favre with the Lions, and Brady with the Jets. 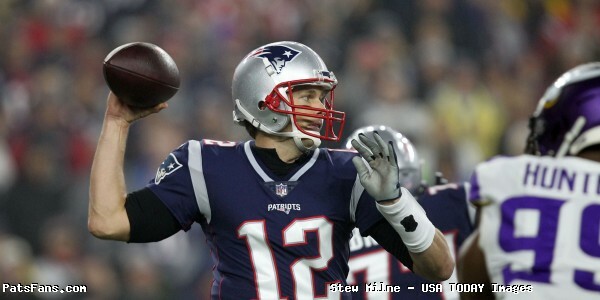 With a win today Brady would own the top two number of wins against a single opponent, (Buffalo 30, Jets 27). Also, the Patriots are the only undefeated team at home this season. They can finish at home, 8-0 this season with a win today. Did you Know Pt.2? The Patriots, with a win today will crack the 500 win total, the first of the old AFL teams to do so. 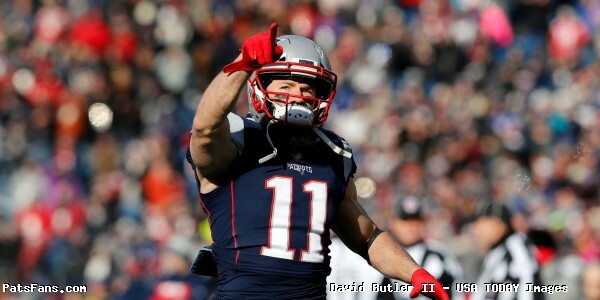 Also with a win today, it would guarantee a bye for the Patriots in the Wild Card round of the playoffs. Since 2001, the Patriots have had 13 byes, the most in the NFL. The next closest team is the Denver Broncos with 5. Did you Know Pt. 3: If they score two points or more today, the Patriots will extend their NFL record to 12 straight seasons with at least 400 total points (2007-18). The Chargers previously held the record by scoring at least 400 points in eight straight seasons from 2004-11. The 2018 Patriots are currently eighth in the NFL with 398 points scored. Sacked by Flowers: Trey Flowers currently leads the team in sacks with 6.5 if he finishes the season with the lead, he will become the seventh player to lead the team in sacks for three consecutive seasons. Former Patriot Benjamin Watson this week announced that the 2018 season will be his last, as he’s retiring to focus on his still growing family. He’s always been active in work off the field and accompanied Patriots owner Robert Kraft on one of his trips to the Holy Land. Watson has spent 15 years in the NFL, the first of which he was a member of the Patriots. A first-round draft choice out of Georgia, he caught 167 passes for 2102 yards (12.6-yard average) with 20 TDs while a member of New England. In Tom Brady’s first game back after injuring his ACL, Watson caught two touchdowns in the final two minutes to help beat Buffalo on Monday Night Football. But the play he’s probably most known for was one where he didn’t even have the ball in his hands. During the 2005 divisional playoff game with Denver. Champ Bailey intercepted Tom Brady in the end zone and raced down the sideline in what would have been the longest interception return in NFL history. Watson, on the other side of the field, chased Bailey down and blasted him out of bounds at the one-yard line. The Patriot bias in me still believes that the ball went thru the end zone, but it was close and the Pats certainly weren’t going to get that call in Denver. Both Tom Brady and Bill Belichick commented on Watson with the news of his retirement and wished him well. 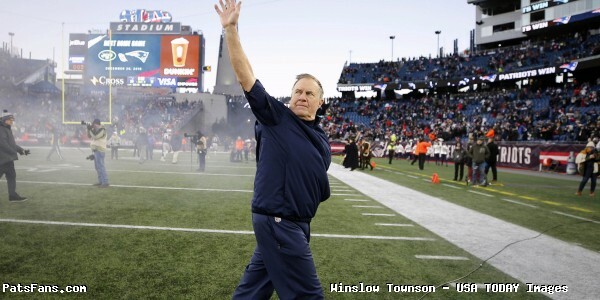 Belichick also commented on the news that Bills great Kyle Williams is also retiring. When the Patriots lost Derek Rivers in the training camp of his first NFL preseason, it set his development significantly back. Not only did he lose his initial NFL season, but it has taken him over a year to get back physically to where he was prior to his injury and now he is truly just now in his rookie campaign. He’s played very sparingly (65 snaps) and has all of one tackle on his resume. So while many of the fickle faithful are already throwing out the dreaded “B” word about his selection, one person who isn’t is Bill Belichick. “I like Derek. He’s got a good future,” Bill Belichick said when asked about Rivers on Friday. For players like Rivers, Isaiah Wynn, Ja’Whaun Bentley, and Duke Dawson, while their development window has been altered due to injuries, they still have the opportunity to show what they can do. For most of them, next season may be where they get evaluated much harder. The Buffalo Bills will be saying adieu to DL Kyle Williams who is retiring after 13 outstanding seasons. Williams has spent his entire career with Buffalo and has played in 182 games with 177 starts. He wrote an open letter to the fans of Buffalo and said he’s loved his time there. He told Coach Sean McDermott the news on Monday and then shared it with the rest of the team. He is a shoo-in for the Bills Wall of Fame in short order. The Miami Dolphins are on their way to chilly Buffalo to put a lid on a very disappointing 2018 season. Miami can finish the season at .500 with a win in Buffalo, but for them, a 7-8 mark at this point is a bad sign. Rumors are Mike Tannenbaum is out after the game and that GM Chris Grier and coach Adam Gase are probably safe for at least next year. Despite Tannehill having six years on the playing field to prove himself, (he missed all of 2017 with a torn ACL), Gase still believes that the much-maligned QB’s best days are ahead of him. He has said repeatedly that Tannehill, “hasn’t reached his ceiling yet.” He pointed out that injuries and inconsistent play with the offensive line has made it difficult to get an accurate picture of what they have. Regardless, there should be lots of other changes to the Dolphins roster in 2019. If the Jets lose to the Patriots and the Cardinals beat the Seahawks, the Jets will be no worse than No. 2 in the draft order. The Jets can get to No. 1 with a loss combined with a Cardinals win and a 49ers win over the Rams. If the 49ers lose, the Jets might still beat them in the strength-of-schedule tiebreaker, which goes to the team with the worse strength of schedule. The Jets can beat the 49ers in SOS if three of the four happen: the Giants beat the Cowboys, the Buccaneers beat the Falcons, the Ravens beat the Browns or the Chargers beat the Broncos. One person who probably NOT be there to reap the benefits of the said #1 or #2 pick will be head coach Todd Bowles. He’s expected to be let go after their game with the Patriots either Sunday evening or Monday. 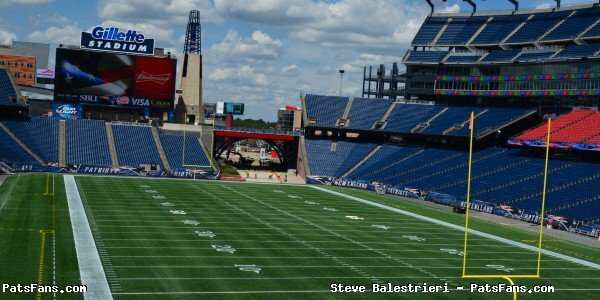 This entry was posted in 2018 Patriots Regular Season, NFL Commentary, NFL News, Patriots Film Room, Patriots News and tagged Bill Belichick, Chris Hogan, James White, Julian Edelman, New England Patriots, New York Jets, NFL, NFL news, Rob Gronkowski, Sony Michel, Stephon Gilmore, Tom Brady, Trey Flowers on December 30, 2018 by Steve Balestrieri.